First I want to thank everyone who suggested books for the list. We have an amazing selection of books and authors! My kids will officially be on summer break around noon today and ready to fill their ereaders or hit the library. To that end, I’ve taken all the recommendations and compiled them into one Word document you can download by clicking: K&T 2014 MG & YA Reading List. To make it easy to download samples, embedded in the document are links to each book’s page at Amazon, Barnes & Noble, and iBooks. Or you can print the list and bring it with you to the library. Sunny, to claim your book please contact me with your preferred format (print or ebook) and your selection from Tuesday’s blog within 10 days. 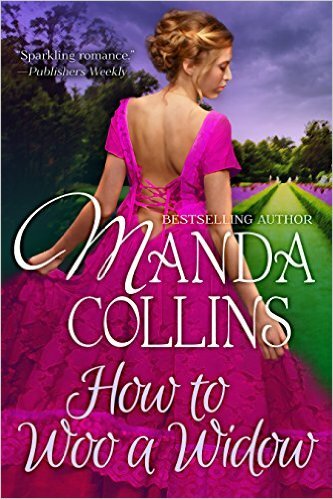 Join us next week at Kiss and Thrill, when we will be adding to our adult summer reading list with two reviews by Manda Collins. It’s the time of year when I turn to my friend young adult author Amanda Brice and beg her for middle grade and young adult mystery titles that will keep my 11-year-old son and 14-year-old daughter entertained for the coming months and share those recommendations with our readers. This year, sadly, Amanda is offline due to a sick toddler, so my daughter and son are filling in with their book recommendations. All of us at Kiss and Thrill hope Amanda’s little guy gets better quickly! As we do each year, I’m asking our readers to chime in with their book recommendations in the comments. Summer is long and my kids are voracious readers, I need books! One lucky commenter will win a print or ebook copy of one of the books recommended by my kids – winner’s choice. On Thursday I’ll post a downloadable list of all the books recommended here and in the blog comments. Before we get started on our list, here is a mom tip from me: if your son or daughter has an ereader of their own, use the links on this page to send a sample directly to their device. No need to remember titles or guess what they’ll like because they can try them all for free! Here are my son’s book recommendations, in no particular order. Okay readers, my kids have shared some of their favorites, now it’s your turn! Please post your book recommendations for middle school and high school aged readers. One commenter will win a copy of one of the books my kids recommended, winner’s choice! Check back on Thursday to see if you are our winner. Fourth of July week kicks off one of my favorite annual rituals: summer reading. 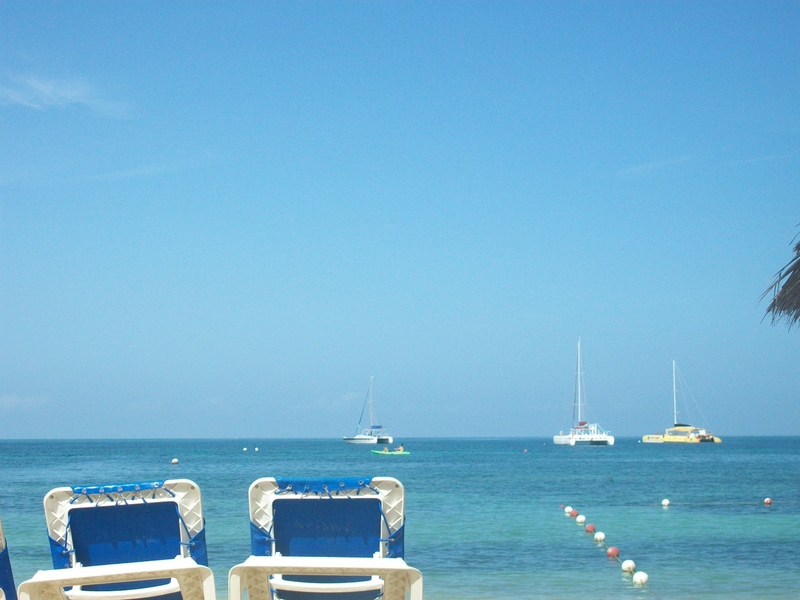 There’s something about the hot days and slower pace that has me eagerly sliding books off my TBR pile and into my oversized beach bag along with the towels and swimsuits. This summer I’ll be reading the first book of a mystery series that’s been on my TBR pile forever, re-reading an old classic, and trying something completely different. Sarah’s fav reading spot: on the back porch in the morning (before it gets too hot) or sofa after dinner instead of TV. Rachel’s fav reading spot: usually in bed, but I’m looking forward to trying out the hammock my husband thinks I bought for him. Sharon’s fav reading spot: any place where I can be alone, and during the summer that means in the car waiting for kids to finish their activities. But when I was a teenager, I lived on a lake and had a sunfish sailboat which I would take out in the morning, anchor in the middle of lake, and read for hours by myself. It was Heaven! Manda’s fav reading spot: piled up in bed with my cats and dog! Gwen’s fav reading place: under a tree by the water on a mild, sunny day. Usual reading spot: either standing at the kitchen table during my lunch, or–when I can grab a few minutes–sitting in my favorite chair in the extra room at the front of the house that no one else uses but me. Lena’s fav reading spot: on the couch with a pillow, a blanket, and a glass of ice-cold Diet Dr. Pepper. Carey’s fav reading spot: on the treadmill, with my ears. I’m turned on to audiobooks now and I can’t go back. Diana’s fav reading spot: on the swing that hangs from the giant sycamore in my front yard. BTW, my fav reading spot: sprawled on the wicker couch on my screened porch with the fan blowing full blast, the cicadas kicking up a ruckus, and an ice cold popsicle in my hand. 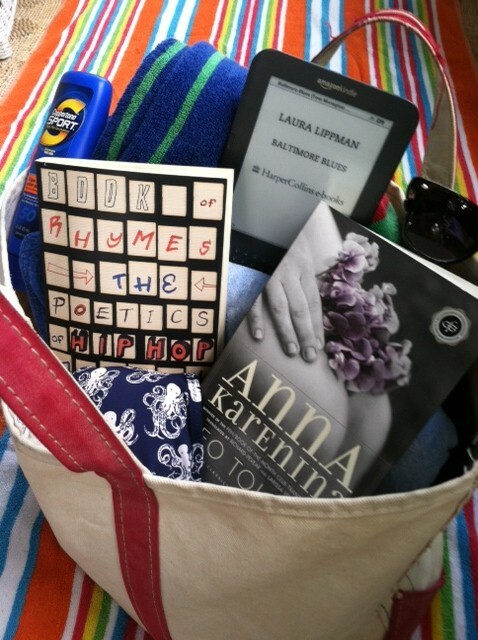 What book is in your beach bag? And where’s your fav reading spot? Summer Reading List and Pas De Death Winner! 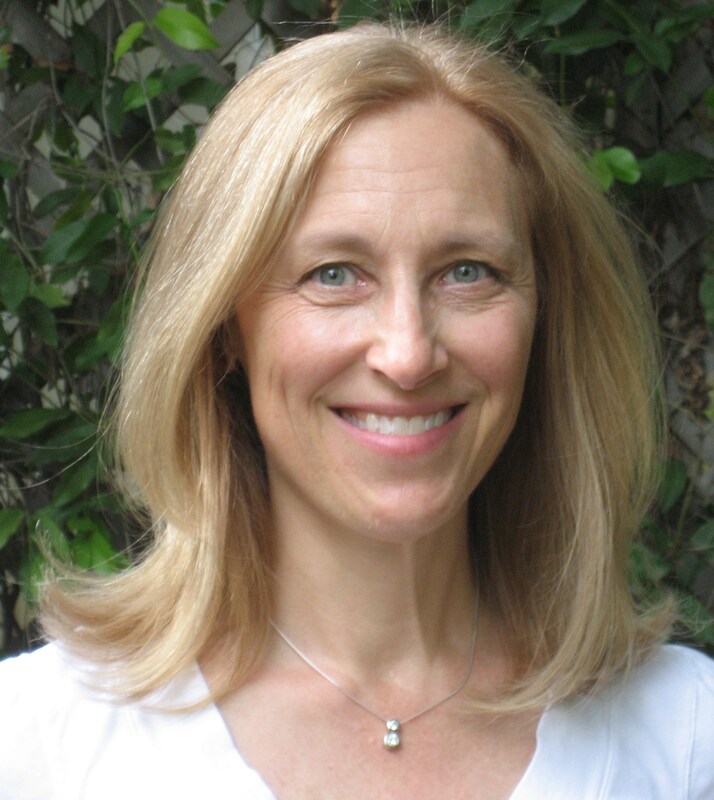 First I want to thank Amanda Brice for getting us started by compiling a great list of middle grade and young adult mysteries! Thank you also to everyone who suggested books for the list. We ended up with a great selection of books and authors! I can’t wait to hit the library and bookstore with both of my children. To that end, I’ve taken all the recommendations and compiled them into one Word document you can download by clicking: K&T 2013 MG & YA reading list. Anthea, to claim your books please email your preferred format (print or ebook) and your selection from Amanda’s list to contact@kissandthrill.com (or go to contact page for details). Remember, we must hear from you within 10 days and you must provide a US or Canadian address to qualify. Next Tuesday at Kiss and Thrill Sharon Wray is interviewing our own Manda Collins to celebrate the release of her wonderful novella THE PERKS OF BEING A BEAUTY. And on Thursday Krista Hall interviews the fabulous Kimberly Kincaid. Summer vacation is looming in my house. That big blank spot on the calendar, which I am woefully unprepared for. I have two kids, 13 and 10, girl and boy. Both voracious readers with very different tastes. Five more days of school, then we enter the abyss. In a panic, I turned again to my friend, the brilliant author Amanda Brice for help. My daughter has read and loved all of Amanda’s Dani Spevak mysteries, and while I really wanted Amanda to write a few dozen more of the dance-world set mysteries before next Tuesday, that wasn’t really feasible, so instead she compiled this list of mysteries for Tweens and Teens. We are opening up the comments today for middle grade and young adult book recommendations in any genre. On Thursday I will post a PDF of all the books recommended by Amanda as well as all the recommendations from our readers, so be sure to come back on Thursday for a library/shopping list. One lucky commenter will win a copy of Amanda’s PAS DE DEATH plus one of the books recommended by Amanda (winner’s choice) for the voracious reader in their life! Thank you to Rachel and the rest of the Kill & Thrill ladies for hosting me today. I had so much fun making summer reading suggestions last year, I’m delighted to make this an annual tradition. Here’s to great summer reading for years to come! Now that school is out (or will be shortly), moms and dads across the country are faced with the task of what to do with their kids for the next 2 months or so. I can’t help you with summer camps or childcare of occupying their every waking hour, but in keeping with the suspense theme of this blog, I can help provide you with a list of awesome YA and middle grade mysteries! These books are in no particularly order, so please don’t try to interpret it as a ranking of preference. But they are just some of my faves, and I hope they’ll come your kids’ faves, too. Wahoo Cray lives in a zoo. His father is an animal wrangler, so he’s grown up with all manner of gators, snakes, parrots, rats, monkeys, snappers, and more in his backyard. The critters he can handle. His father is the unpredictable one. When his dad takes a job with a reality TV show called “Expedition Survival!”, Wahoo figures he’ll have to do a bit of wrangling himself—to keep his dad from killing Derek Badger, the show’s boneheaded star, before the shoot is over. But the job keeps getting more complicated. Derek Badger seems to actually believe his PR and insists on using wild animals for his stunts. And Wahoo’s acquired a shadow named Tuna—a girl who’s sporting a shiner courtesy of her old man and needs a place to hide out. They’ve only been on location in the Everglades for a day before Derek gets bitten by a bat and goes missing in a storm. Search parties head out and promptly get lost themselves. And then Tuna’s dad shows up with a gun . . .
It’s anyone’s guess who will actually survive “Expedition Survival”. . . . The first book in this groundbreaking multimedia series sends readers around the world on the hunt for the 39 Clues. Written by #1 NYT bestseller Rick Riordan, and backed by $100,000 in prizes! Grace is the last matriarch of the Cahills, the world’s most powerful family. Everyone from Napoleon to Houdini is related to the Cahills, yet the source of the family power is lost. 39 Clues hidden around the world will reveal the family’s secret, but no one has been able to assemble them. Now the clues race is on, and young Amy and Dan must decide what’s important: hunting clues or uncovering what REALLY happened to their parents. NOTE: Each of the books in this series is written by a different famous author: Gordon Korman, Peter Lerangis, Margaret Peterson Haddix, David Baldacci, Clifford Riley, etc. Steven Thomas is one of two lucky winners of the U.S. Basketball Writer’s Association’s contest for aspiring journalists. His prize? A trip to New Orleans and a coveted press pass for the Final Four. It’s a basketball junkie’s dream come true! But the games going on behind the scenes between the coaches, the players, the media, the money-men, and the fans turn out to be even more fiercely competitive than those on the court. Steven and his fellow winner, Susan Carol Anderson, are nosing around the Superdome and overhear what sounds like a threat to throw the championship game. Now they have just 48 hours to figure out who is blackmailing one of MSU’s star players . . . and why. Sailing toward dawn, and I was perched atop the crow’s nest, being the ship’s eyes. We were two nights out of Sydney, and there’d been no weather to speak of so far. I was keeping watch on a dark stack of nimbus clouds off to the northwest, but we were leaving it far behind, and it looked to be smooth going all the way back to Lionsgate City. Like riding a cloud. . . .
Matt Cruse is a cabin boy on the Aurora, a huge airship that sails hundreds of feet above the ocean, ferrying wealthy passengers from city to city. It is the life Matt’s always wanted; convinced he’s lighter than air, he imagines himself as buoyant as the hydrium gas that powers his ship. One night he meets a dying balloonist who speaks of beautiful creatures drifting through the skies. It is only after Matt meets the balloonist’s granddaughter that he realizes that the man’s ravings may, in fact, have been true, and that the creatures are completely real and utterly mysterious. Kids who grew up with Jane O’Connor’s Fancy Nancy picture books can spend some quality time with their BFF: Nancy Clancy is now starring in her novels! Fancy Nancy: Nancy Clancy, Super Sleuth is the first in a series of delightful middle-grade mysteries. Sassy Fancy Nancy is now a detective. When one of her classmate’s most special possessions disappears from school, it’s up to Nancy to save the day. With the help of her friend Bree, she follows the clues to an unexpected source. Fans of Nancy Drew’s Clue Crew will be happy to see a new Nancy join the ranks of super sleuths. Oct. 11th, 1943-A British spy plane crashes in Nazi-occupied France. Its pilot and passenger are best friends. One of the girls has a chance at survival. The other has lost the game before it’s barely begun. A Michael L. Printz Award Honor book that was called “a fiendishly-plotted mind game of a novel” in The New York Times, Code Name Verity is a visceral read of danger, resolve, and survival that shows just how far true friends will go to save each other. Ed Kennedy is an underage cabdriver without much of a future. He’s pathetic at playing cards, hopelessly in love with his best friend, Audrey, and utterly devoted to his coffee-drinking dog, the Doorman. His life is one of peaceful routine and incompetence until he inadvertently stops a bank robbery. Chosen to care, he makes his way through town helping and hurting (when necessary) until only one question remains: Who’s behind Ed’s mission? A 2005 Michael L. Printz Honor Book and recipient of five starred reviews, I Am the Messenger is a cryptic journey filled with laughter, fists, and love by the author of the extraordinary international bestseller The Book Thief. Peterson. Amanda Peterson. When my life suddenly turns into the Princess Diaries meets Mission Impossible, can I do in a week what I haven’t managed to do in all my fifteen years—reel in a hottie? When Amanda spends a week with her aunt, Christie, she learns that her aunt is a spy. Christie admits that Amanda has security clearance and has already started her training. When her aunt asks her to investigate a teenage hacker, Amanda thinks that spending time with a nerd should be doable despite her social ineptitude. Unfortunately for Amanda, the hacker is a hottie. Being a 16-year-old safecracker and active-duty daughter of international spies has its moments, good and bad. Pros: Seeing the world one crime-solving adventure at a time. Having parents with super cool jobs. Cons: Never staying in one place long enough to have friends or a boyfriend. But for Maggie Silver, the biggest perk of all has been avoiding high school and the accompanying cliques, bad lunches, and frustratingly simple locker combinations. Then Maggie and her parents are sent to New York for her first solo assignment, and all of that changes. She’ll need to attend a private school, avoid the temptation to hack the school’s security system, and befriend one aggravatingly cute Jesse Oliver to gain the essential information she needs to crack the case . . . all while trying not to blow her cover. Caden Butcher, known as the whiz-kid exorcist to the stars, loves the Hollywood limelight. Or at least that’s what he wants people to believe so he can earn enough cash from his high profile exorcisms to take care of his ailing father. The problem is, not everyone’s happy with Caden’s star status, particularly Remy Martin, a high ranking member of the International Order of Exorcists, who suspects the truth, that these Hollywood exorcisms are staged with the help of Caden’s demon BFF, Dan. So when a real exorcism goes bad and a nasty demon jumps bodies, the crap hits the supernatural fan. The Order strips Caden of his exorcism license right before he discovers the unleashed demon is one he knows well, very well. This demon is hell bent on destroying Caden’s life and everyone else who gets in his way. Now with the help of his demon buddy, and Caden’s girlfriend Aspen Spencer, a necromancer in training, Caden must defy the Order, track down the rogue demon and send him back to hell before it’s too late. But he’s also the son of the world’s most infamous serial killer, and for Dear Old Dad, Take Your Son to Work Day was year-round. Jazz has witnessed crime scenes the way cops wish they could–from the criminal’s point of view. And now bodies are piling up in Lobo’s Nod. In an effort to clear his name, Jazz joins the police in a hunt for a new serial killer. But Jazz has a secret–could he be more like his father than anyone knows? 1. A dance for two, especially a dance in ballet consisting of an entrée and adagio, a variation for each dancer, and a coda. 2. A close relationship between two people or things, as during an activity. 1. A dance of death. 2. When Dani Spevak stumbles over a dead body and gets into another crazy situation. Aspiring ballerina Dani Spevak is back home for the summer, recovering from an injury. What was supposed to be a simple day trip into New York City to visit her friends at the Manhattan Ballet Conservatory turns deadly when Dani discovers that the world of professional dance can be cutthroat — literally. Please give us your recommendations for teens and tweens in the comments, all genres welcome! One lucky commenter will get a copy of PAS DE DEATH and their pick of one of the books Amanda recommended. First I want to thank everyone who suggested books for our tween and teen summer reading list. We ended up with a great selection of books and authors! Big, huge thanks to Amanda Brice for kicking us off with a wonderful list of MG/YA mysteries. I can’t wait to hit the library and bookstore with my daughter. To that end, I’ve taken all your recommendations and compiled them into one pdf which you can download: K&T summer reading list for Teens & Tweens. And now for our winner who gets to choose one of the mysteries Amanda recommended in the blog, and will receive a copy of POINTE OF NO RETURN. To claim your books please email your preferred format (print or ebook) and your selection from Amanda’s list to contact@kissandthrill.com (or go to contact page for details). Remember, we must hear from you within 10 days and you must provide a US or Canadian address to qualify. Next week at Kiss and Thrill we are excited to celebrate our own Carey Baldwin’s debut release FIRST DO NO EVIL!